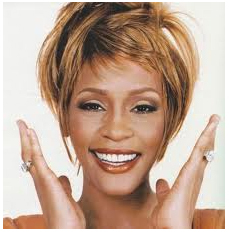 The world of pop singer, Whitney Houston has died, on Saturday, February 11, 2012 in Los Angeles. Sudden grief is felt not only the family, the music human beings and her fans, but also the public in the universe. Ironically, the cause of death of Whitney Houston to this story down is still confusing (there is no clarity). Whitney Houston (singer-blooded African-American) was found lying in the bath tub in the room Beverly Hilton Hotel, Los Angeles, by Mary Jones, one of the entourage who was with Whitney Houston to stay at the hotel. Suddenly the hotel was immediately contacted paramedics. At 3:30 pm Los Angeles time, paramedics straight to Whitney Houston room is located on the 4th floor. According to one of the paramedics, Whitney Houston was given breathing assistance (CPR) for 20 minutes, but Whitney Houston did not respond at all. Until finally at about 3:55 pm (Los Angeles time) paramedics were sure her death. In the meantime, to find out the exact cause of death of Whitney Houston from Beverly Hills police who have done post-mortem on the body, can not yet announced the cause of death of Whitney Houston. Lieutenant Mark Rosen is only able to ensure that the former was not found signs of violence and crime caused by the death of Whitney Houston. Artists who have clashing acting through the film with Kevin Costner Bodyguard, and unleash the legendary single "I Will Always Love You" was known to have been staying for several days at the Hotel Beverly Hills with her family and entourage in order to attend the Grammy Awards party was held Sunday, February 12, 2012. Previously, Thursday, February 9, 2012, Whitney Houston was also seen following the rehearsal for the pre-Grammy party Clive Davis that was held Saturday, February 11, 2012, the night before the Grammy Awards, held. He still looks healthy even if a bit moody. According to singer Brandy and Monica, it was Whitney Houston is a little strange and seems very happy. She exaggerated gesticulating, jumping up and down like a child and a walk in the hotel lobby like no purpose. The singer of "Saving All My Love for You" was once married to Bobby Brown in 1992 and has one daughter, Bobbi Kristina, now 19 years old. But marriage is not sustained; they were officially divorced in 2007. After her divorce, Whitney Houston is rumored to dependence or frequent use of illegal drugs such as narcotics and morphine. Whitney Houston struggles to escape from the drugs he did not succeed even to cause the bankruptcy debt. On August 2001, Whitney Houston had signed a contract with Arista Records to releasesix albums, but only managed to release one album, I Look to You (2009). A time of grief and sadness for Whitney Houston fans and closed ones. No one is sure about the cause of death. Nice blog!